I was fortunate this week to view “The Mind Inside,” the most recent video production from Nebraska Loves Public Schools. Set within a middle school in Millard, it is a powerful representation of the mental health challenges many of our students face today. With a packed movie theatre for the screening, the audience witnessed how difficult it is to help children succeed when they are in the midst of major trauma. Indeed, these days our children are dealing with significant issues such as being homeless, abused, undernourished and lacking medical care. Attending school, not to mention sitting in a classroom and learning, is sometimes impossible given their circumstances. 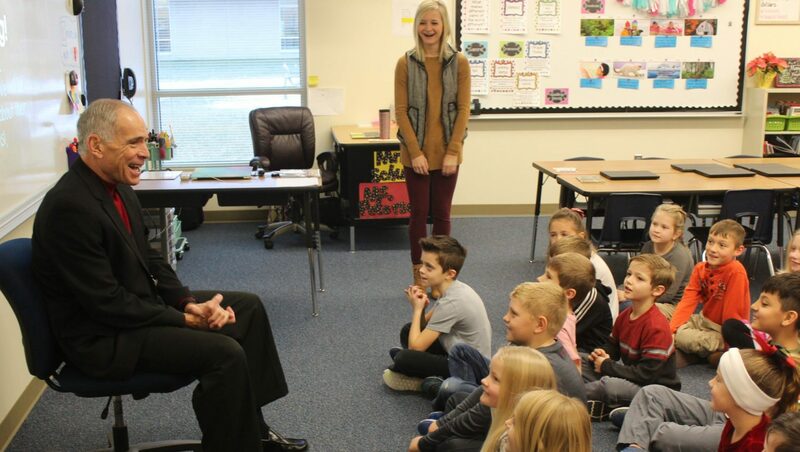 In order to ensure children succeed, the work of teachers, counselors and social workers in public schools – and in Lincoln Public Schools – has become more and more important. There are so many children these days who don’t have anyone they can talk to about issues and problems, and our staff members try to fill this void. It is deep and emotionally draining work (that can sometimes lead to compassion fatigue), but without caring professionals there would be little chance of helping our children flourish in school, learn and eventually reach graduation. Thank you to all of our LPS educators who care so deeply for our children. Meanwhile, with the Nebraska Legislature back in action, we are readying for challenges ahead. During odd-numbered years, the legislative sessions last 90 days (compared to 60 days during even-numbered years), so we expect many bills will be introduced, requiring and consuming much valuable time from our staff. Specifically, this session I believe we will see a major discussion on property taxes and school funding. The reliance on property taxes for schools has always been a hot topic amongst policy makers. While some believe that a change in education funding is necessary, it has proven very difficult to reach consensus on what those changes might be. With more than 42,000 students – and growing – and 46 percent of those students eligible for free and/or reduced lunches, we have a big stake in these discussions.